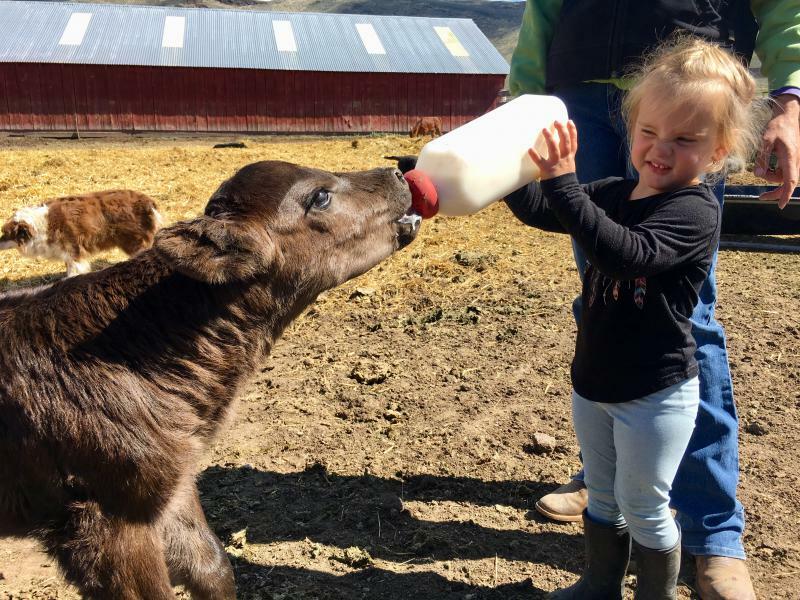 Three-year-old Jordyn feeds a calf on her grandpa's ranch near Carey, Idaho. A conservation easement makes it possible for this ranch to support two generations. Since the 1970s, more than 40 percent of Ada County's farmland has disappeared, according to the Ada County Soil and Conservation District. Every day, about 19 people move to Boise. And that growth is creating a housing crunch in the valley. That means farmland is being gobbled up by subdivisions and warehouse stores like Costco. Idaho is one of several states in our region with no state funding plan to protect farmland. Glen Edwards is almost done with today’s work on his farm outside of Meridian, Idaho. He’s using his tractor to deliver hay to an eager crowd of heifer cows. “They know it’s time to eat,” says Edwards, chuckling. Edwards grew up here farming with his dad. He and his wife raised five kids who helped milk cows and plant hay seed. Edwards loves the farming life. “When you plant a crop, as long as you’re doing everything right, you can actually see the benefits of your efforts and your labors,” Edwards says. He’s 63 and moving slower these days and he’d love his sons to inherit the farm. 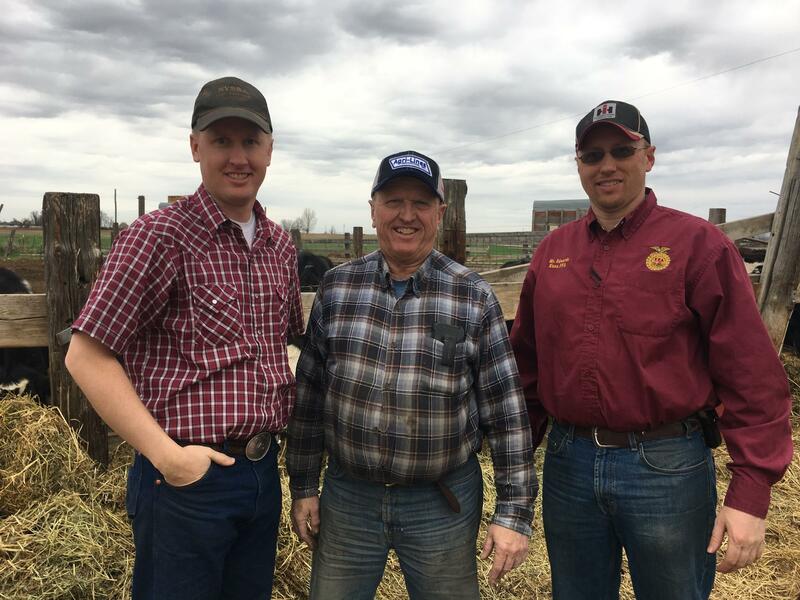 Glen Edwards, center, would love for his sons to inherit his farm. But the rising costs of farming and other factors make it impossible for him to retire and for them to take over the farm. But it looks like that’s not going to happen. Edwards is in the same hard spot that many small farmers face: He can’t afford to turn the farm over to his sons and retire. 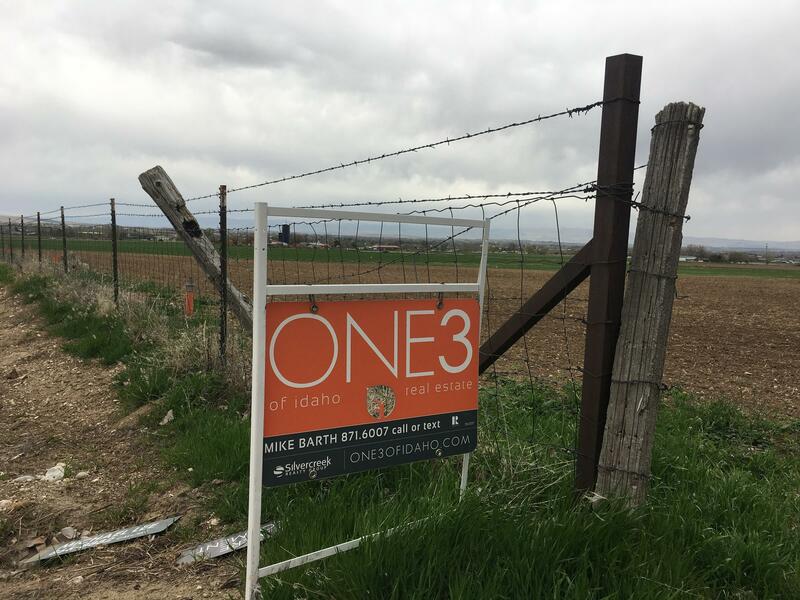 A 2016 regional poll showed that Treasure Valley residents are really worried about disappearing farmland, but Idaho is also a big property rights state. There are few regulations here to prevent farms from turning into subdivisions, and farmers can make a pretty penny if they sell. “We don’t have any zoning, or any ordinances or anything in place at this time that supports the preservation of ag ground,” says Debbie Kling, mayor of Nampa, Idaho. Technically, Nampa city officials could choose not to rezone agricultural land when a development proposal comes before officials. But that’s not been happening, Kling says. The same is true across Ada County, Boise and Meridian — as long as developers meet the criteria of city or county plans, officials tend to rubber stamp new developments. And Kling and other political leaders feel strongly that farmers should have the right to sell their land should they choose to do so. Barton and his wife run the ranch that he inherited from his parents, where they raise cattle and grow alfalfa. A few years ago, Barton was approached by The Nature Conservancy. 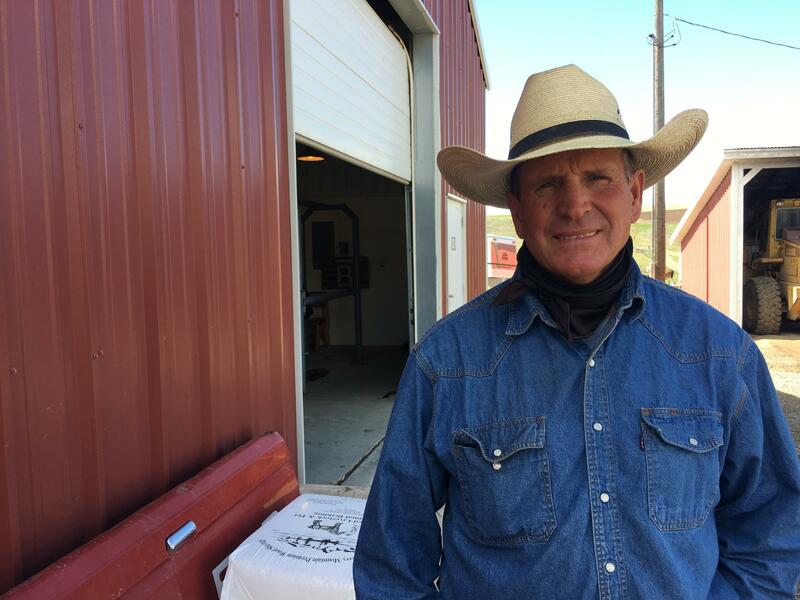 His ranch sits on remote rangeland and the environmental group wanted to protect the wildlife there. Barton was skeptical. As Barton watched some of his friends make deals with the nonprofit, he warmed up to the idea. He was also wooed by the financial aspect. “They would buy an easement off the place for so much an acre and you ran the place just like you normally would,” says Barton. Barton agreed to what’s called a conservation easement. He signed a contract essentially giving up development rights on his land. That meant no subdivisions, no malls, no nothing. Through conservation easements, rancher Jim Barton was able to expand his ranch to support both his generation and his daughter's family. The money came from the Nature Conservancy, plus some federal dollars kicked in from federal Natural Resources Conservation Service. The windfall allowed Barton to expand and the ranch now supports his generation and his daughter’s family. Not all farms contain valuable wildlife habitat that will attract groups like the Nature Conservancy. That’s why more than half of states have created state-funded easements instead. However Montana, Wyoming and Idaho don’t have working programs and farming advocates here in Idaho are lobbying for that to change. But even if that happens, it’ll probably be too late for Glen Edwards’s farm near Meridian. A “For Sale” sign is perched on one corner of his land. He’s not in a hurry to sell. But at 63, he’s getting tired of farming 12 or 14-hour days. “I would like to spend some of that time in the evenings with my wife or with my grand kids. That’s what life is all about,” says Edwards. When he does sell, he plans to keep a few acres on a little hill for his family. They can look out on the land that he grew up on, the land he inherited, and watch whatever it becomes. A district judge has ruled in favor the Dry Creek Valley Coalition in the Treasure Valley. 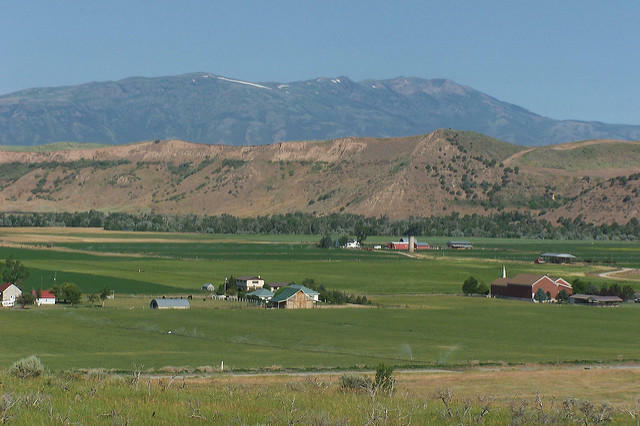 The Treasure Valley Food Coalition this week is asking the question, “why should we save farmland in Idaho?” As growth and development spread across the Treasure Valley, the coalition is starting a conversation about preserving farmland in places like Canyon County.